Progressive, a cappella Southern Gospel. 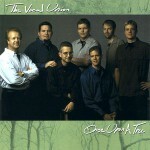 Vocal Union is a group of six men who are dedicated to God and love to sing about it with all their hearts. This is a group that fits all ages and crosses all boundaries. Utilizing close harmonies and traditional “old-time” gospel treatment of songs. 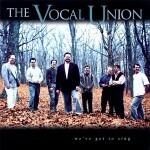 Vocal Union has brought groups in Tulsa, Nashville, Cincinnati, and other concert crowds to their feet with cheers for this beloved singing style. 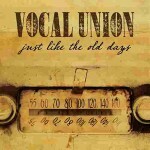 It’s Cory Martin, Brian Wiersma, Ryan Thomas, Mike Beck, Joey Mustain, Josh Harrison, and Mateo Coronado… Vocal Union. 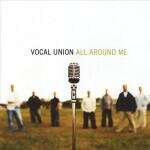 Also, check out the Vocal Union website for more information at vocalunion.com. 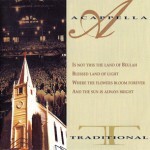 The Acappella Company’s roots in Southern Gospel are deep. Such songs as “When I Wake Up To Sleep No More” and “I’ll Have A New Life” provided a traditional foundation for Acappella. But as Acappella explored musical styles and expanded its repertoire to include more contemporary sounds, the group moved away from a Southern Gospel focus. Thus, Vocal Union was formed. 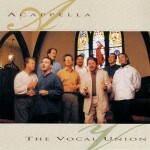 Vocal Union was originally comprised of members of the studio at The Acappella Company, including producers, engineers, and interns. The group’s success has witnessed a host of talent joining this ministry to continue the legacy of Vocal Union sound. The driving force behind the group was Gary Miller – song writer, recording engineer, producer and an amazing bass singer. During his tenure, Miller led Vocal Union to new heights including international appearances, top honors in the Contemporary A Cappella Recording Awards and a concert at Carnegie Hall. Miller also contributed songs to other groups in the ministry, including Acappella, AVB, various Series albums and the Praise & Harmony projects. On March 12, 2011, Gary Miller went to sing with the angels above. Click on an album to hear samples or purchase the recording.